PANEL TO PROBE GMA ON P533-M PLUNDER - The Department of Justice on Monday formed a panel of prosecutors to conduct a preliminary investigation on the P533-million plunder charges against former President and now Pampanga Rep. Gloria Macapagal-Arroyo. JBC WILL NOT EXTEND ENDORSEMENT PERIOD FOR OMBUDSMAN CANDIDATES - The Judicial and Bar Council rejected yesterday calls to extend the period of endorsement for applicants for the next Ombudsman as the council got ready to screen 26 nominees. The eight-man council chaired by Chief Justice Renato Corona had closed the filing of applications and turned down the request of the Transparency and Accountability Network (TAN) for an extension of the nomination period to give way to more applicants. PLUNDER CASE VS GARCIA CAN STILL BE REVIVED - The plunder case against retired Maj. Gen. Carlos Garcia, comptroller of the Armed Forces of the Philippines (AFP), could still be revived, Cagayan de Oro City Rep. Rufus Rodriguez said yesterday. OMBUDSMAN SUSPENDS PICHAY - The Office of the Ombudsman yesterday ordered the six-month suspension of Local Water Utilities Administration (LWUA) board chairman Prospero Pichay Jr. for alleged misuse of funds. EXPANDED LAUNDERING COVERAGE SOUGHT - The Anti-Money Laundering Council (AMLC) is calling on lawmakers to expand the coverage of the anti-money laundering law to include corruption, plunder and other offenses. 'FITNESS' REQUIRED OF OMBUDSMAN - Malacanang on Thursday seemed to have vagueness written all over it on the matter of what it was looking for in the next Ombudsman, whom President Benigno Aquino 3rd would pick in place of the recently-resigned Merceditas Gutierrez. Fitness of the candidate was the main criterion, according to spokesman Edwin Lacierda, who was rather unclear if he was referring to the physical state of the aspirant. PHILIPPINES IS NEW W.H.O. AUDITOR - The Philippines has clinched the post of external auditor of the World Health Organization (WHO), presidential spokesperson Edwin Lacierda said on Thursday night. We just won the position of auditor of the World Health Organization. We beat Germany, France, Spain and Malaysia, Lacierda quoted Commission on Audit (COA) Chair Grace Tan as saying. SOLIMAN, ABAD IN HOUSE LINE OF FIRE ON CCT PROBE - Social Welfare Secretary Dinky Soliman and Budget Secretary Butch Abad may likely find themselves in hot water after House members bared their intention to hold an inquiry into the P2-billion additional budget allotted for the controversial conditional cash transfer (CCT) program bloating its appropriation this year to P23 billion. DA CHIEF ASSURES KEEPING EYE ON RICE IMPORTATION - Agriculture Secretary Proceso Alcala has assured his department will keep a tight watch on the country's rice importation to help guard against possible irregularities in such activity. AQUINO TOP ALLIES CRAM JBC - President Benigno Aquino 3rd apparently would take no prisoners where getting juicy posts in the judiciary for allies he fancies was concerned. With his administration being barely a year old, President Aquino already has stuffed the eight-man Judicial and Bar Council (JBC) with four of his known allies Jose Mejia, Milagros Fernan-Cayosa, Justice Secretary Leila de Lima and Rep. Niel Tupas Jr. of Iloilo. PALACE ELATED OVER LIST OF OMBUDSMAN NOMINEES - Malacañang yesterday kept its ambiguity on its preferred candidate for the next Ombudsman but welcomed Supreme Court (SC) Associate Justice Conchita Carpio-Morales acceptance of her nomination to that coveted government position. 3 SANDIGAN JUSTICES FACE CRIMINAL RAPS - Sandiganbayan Presiding Justice Edilberto Sandoval and Associate Justices Teresita Diaz-Baldos and Samuel Martires are facing criminal charges for approving the plea bargain agreement between former military comptroller Carlos Garcia and the Office of the Special Prosecutor. GARCIA OFFERED TO RETURN ALL P303M IN 2005 - Former military comptroller Maj. Gen. Carlos Garcia had proposed through his legal counsel in 2005, to enter a plea bargain for plunder and return the entire amount of P303 million provided that his wife and three children be excluded from the case, Deputy Ombudsman for Mindanao Humphrey Monteroso said at a forum on corruption held at the Ateneo de Davao University Tuesday morning. NFA LOST P100B IN 10 YEARS -COA: Huge rice imports and a policy of buying high, selling low and storing long have resulted in the National Food Authority losing more than P100 billion in a span of 10 years, the Commission on Audit said. 25 ACCEPT NOMINATION FOR OMBUDSMAN - JBC: Twenty-five out of 38 personalities seen qualified to become the next Ombudsman have accepted their nomination, according to the Judicial and Bar Council (JBC). SMUGGLING AT NFA BARED: This was how the audit team hired by the National Food Authority (NFA) described the governments rice importation program in the last three years of the Gloria Macapagal-Arroyo administration, which saw a rice crisis, soaring prices and huge losses for the grains agency. PUNO DECLINES OMBUDSMAN POST: Former chief justice Reynato Puno has declined his nomination for the Ombudsman post, saying he has already committed himself to certain projects, especially church work. PUNO EYED FOR OMBUDSMAN: Will a retired Supreme Court Magistrate become the next Ombudsman? The Manila Times learned that retired High Court Chief Justice Reynato Puno is among the legal luminaries who were endorsed as the next Ombudsman, with retiring Associate Justice Conchita Carpio-Morales reportedly awaiting the endorsement of retired Chief Justice Artemio Panganiban to become a candidate to replace Merceditas Gutierrez who resigned on May 6 as the countrys top graft-buster. PAL EMPLOYEE COUNSEL NOMINATED FOR OMBUDSMAN POST: Former government officials nominated the counsel of Philippine Airlines employees to replace Ombudsman Merceditas Gutierrez whose resignation became effective last May 6. SENATOR BARES WINDOW OF GRAFT IN AFP: A window of opportunity for corruption threatens to spoil the Armed Forces of the Philippines' combat expense facility if its officials fail to inform the men in the field about the fund's existence, a senator warned Sunday. Sen. Panfilo Lacson, head of the Senate defense committee, said a corrupt and cunning company commander can keep the fund - P100,000 every three months - a secret from his men and even submit a report to higher headquarters that the amount was properly spent. DE LIMA TO GO AFTER LAWYERS IN PLEA DEAL: Justice Secretary Leila De Lima on Friday said that nine former and current officials of the Office of the Ombudsman involved in a plea-bargaining agreement with former military comptroller and now retired Maj. Gen. Carlos Garcia can still be charged in court. PALACE WELCOMES ENFORCEMENT OF GONZALEZ'S DISMISSAL: Malacañang welcomed yesterday the decision of the Office of the Ombudsman to finally enforce President Aquinos order to dismiss Deputy Ombudsman for Military and Other Law Enforcement Offices Emilio Gonzalez III from the service for negligence. NOT ANOTHER CLASSMATE OR FRIEND IN THE OMBUDSMAN: An anticorruption advocacy group on Wednesday called on the Judicial and Bar Council (JBC) and President Aquino not to appoint anyone with strong ties to the chief executive or his high-ranking officials as the next Ombudsman. DEFENSE, AFP CHIEFS PRESENT REFORMS VS GRAFT: Defense Secretary Voltaire Gazmin and Armed Forces Chief General Eduardo Oban on Thursday presented to the Senate measures to curb irregularities in the military, including a lifestyle check on officials and an audit of the intelligence fund. The AFP took a step further by ordering the deposit of P300 million with the national treasury in relation to the United Nations peacekeeping fund to avoid its diversion. 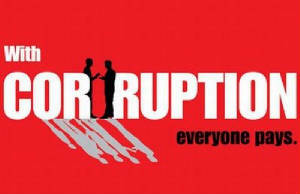 "No corrupt practices shall happen under my watch. We will never allow indiscriminate spending. Funds of the DND and the AFP will be properly managed," Gazmin told the Senate blue ribbon committee. Oban told the committee that the more than 100,000-strong military had been "disgraced" by the scandal of past AFP chiefs allegedly pocketing millions of pesos of funds. SANDIGANBAYAN AQUITS EX-AFP CHIEF OF PERJURY: The Sandiganbayan has acquitted former Armed Forces chief of staff AFP Lisandro Abadia of perjury charges after prosecutors from the Office of the Ombudsman submitted as evidence mere photocopies of Lisandro's statements of assets, liabilities and net worth (SALN) for 1993 and 1994. The Sandiganbayan 2nd Division issued its decision last May 10, a day after it approved a controversial plea bargaining agreement between the Omnudsman and former military comptroller Maj. Gen. Carlos F. Garcia. Two ranking officials of the Philippine Air Force (PAF) were found guilty by the Sandiganbayan of unlawfully selling four generators worth P.8 million in 2002. The Judicial and Bar Council will vote on applications and nominations for the post of Ombudsman on July 4, at the earliest. This, as the Supreme Court said the council will no longer be granting any extension of the application/nomination period for the position. A watchlist order is now being drafted by the Department of Justice (DOJ) against alleged car smuggler Lynard Allan Bigcas after he failed to attend the probe conducted by the House Committee on Ways and Means. Embattled Bureau of Corrections (BuCor) Director Ernesto Diokno on Monday took a leave of absence from his post, pushing aside calls for him to resign outright and save President Benigno Aquino III from further political embarrassment. The Customs bureau is looking into its own backyard for clues on who may have been involved in the smuggling of fancy cars and high-end motorcycles in Cagayan de Oro port. THE Sugar Anti-Smuggling Organization and the Bureau of Customs Cebu office formed a joint anti-smuggling task force that aims to put an end to the perennial sugar smuggling problem in the Queen City. Instead of focusing on the Reproductive Health (RH) bill, the government should exert more effort in fighting poverty through anti-corruption measures, world boxing champ and Sarangani Rep. Manny Pacquiao said Sunday. A Customs official is in hot water for extorting P200,000 for the release of a shipment which was already cleared and inspected by the bureaus Run After the Smugglers (RATS) Group. THE Commission on Audit (COA) is urging the public to list down and report any government vehicle being used for personal use by a government official. Atty. Alfredo S. Reyes, COA regional director, said the public may also report those vehicles without logos. A Department of Justice fact-finding body begins its formal investigation on Monday on the possible administrative liabilities of Bureau of Corrections director Ernesto Diokno and other prison officials following the arrest in Makati City of New Bilibid Prisons inmate Jose Antonio Leviste, a homicide convict and former Batangas governor, who managed to leave the state penitentiary unauthorized. The open secret is unraveling at the New Bilibid Prison (NBP) in Muntinlupa City. Justice Undersecretary Francisco Baraan III, head of the fact-finding panel looking into the prison break of former Batangas Governor Antonio Leviste, yesterday expressed dismay over the inhuman conditions of the poor and the comfortable kubol (quarters) of the rich in the state penitentiary. Malacañang maintained yesterday Local Water Utilities Administration board chairman Prospero Pichay Jr. would have no choice but to follow the suspension order of the Office of the Ombudsman as the Palace would enforce it should he fail to get a temporary restraining order from the courts. Overall Deputy Ombudsman Orlando Casimiro is now juggling four jobs at the Office of the Ombudsman as the top three positions at the anti-graft agency remain vacant. STILL smarting from the fallout from its alleged practice of giving special treatment to prisoners of power and privilege, the National Bilibid Prisons (NBP)the state penitentiaryon Friday was accused of looking the other way while illegal drugs proliferated there. Two former lawmakers and other former government officials linked to the P728-million fertilizer fund scam will ask the Sandiganbayan to dismiss the cases against them. Here's a copy of the Civil Service Commissions Resolution dated March 15, 2011, which requires parties requesting copies of statements of assets, liabilities and net worth (SALNs) of government officials to pay P200 per declaration. The Bureau of Customs on Thursday sued executives of a chemical firm and their customs brokers for allegedly defrauding the government of some P15 million in import duties for various chemicals that they imported since 2009. Charged for technical smuggling in violation of the Tariff and Customs Code were Cleveland Industries president Joana Soat Ing and purchasing manager Anderson Angelo Tang Sy. President Aquino yesterday called on the Bureau of Customs (BOC) to explain how luxury vehicles and motorcycles have been smuggled into the country. Phoenix Petroleum on Wednesday filed complaints of libel, grave misconduct and abuse of Authority against Customs Commissioner Angelito Alvarez before the Office of the Ombudsman in Davao City. TWO advertising agency executives Wednesday filed a P28-million graft complaint against a former Philippine Charity Sweepstakes Office official accusing him of allegedly demanding a cut from their payments from the PCSO for a number of years. Whistle-blower Rodolfo Lozada Jr. could not explain why he allowed multimillion-peso anomalies in government projects he handled while acting as personal technical adviser to former National Economic and Development Authority chief Romulo Neri. Eight members of the Land Transportation Office, including their leader, based in this capital city were apprehended last Monday for bribery during an entrapment conducted by Dipolog City (Zamboanga del Norte) policemen. Magistrates of the Sandiganbayan 2nd Division are in hot water for approving a controversial plea bargaining agreement between the Office of the Ombudsman and former military comptroller Maj. Gen. Carlos Garcia, who is facing plunder charges. Witness Rodolfo 'Jun' Lozada on Tuesday testified that then President Gloria Macapagal-Arroyo had told Romulo Neri to give the $329-million National Broadband Network (NBN) project to then Commission on Elections Chair Benjamin Abalos. Defense lawyers cross-examined government witness Rodolfo 'Jun' Lozada at the Sandiganbayan hearing of the case filed against former Commission on Elections (Comelec) chairman Benjamin Abalos. Lawyers of former elections chairman Benjamin Abalos bared in court yesterday the involvement of whistleblower Rodolfo Lozada in allegedly anomalous government contracts in the past. THE OFFICE of the Solicitor General (OSG) has asked the Sandiganbayan to suspend hearings on the criminal cases against a former military official pending an appeal over a controversial plea bargaining agreement (PBA). The consolidated bill that has yet to be assigned a number seeks to provide protection, security and benefits for whistle-blowers. The inclusion of the name of the customs collector at the Mindanao Container Port (MCP) in Tagoloan, Misamis Oriental in the 'black book' of suspected vehicle smuggler Lynard Allan Bigcas prompted calls from Cagayan de Oro 2nd District Rep. Rufus Rodriguez to investigate operations in the said port. THE Department of Budget and Management is calling on the heads of departments, bureaus, offices, government agencies and state universities and colleges that are collecting Representation and Transportation Allowances (Rata) to strictly follow the national compensation circular. Officials of the Bureau of Customs (BoC), the Land Transportation Office (LTO) and the National Bureau of Investigation (NBI) will be called to attend the house hearing into the smuggling of luxury vehicles in the country, when the House Sub-Committee on Customs, Tariff and other Related Taxes resumes its probe on Monday. Justices of the Sandiganbayans Second Division handling the case of former military comptroller Carlos Garcia have appealed for public understanding over the approval of the plea bargaining agreement with the former general. Government lawyers asked the Sandiganbayan Second Division to suspend the proceedings on cases connected to former Armed Forces of the Philippines (AFP) Comptroller Carlos Garcia. Malacañang on Tuesday declined to comment if former President Gloria Macapagal Arroyo may be charged in connection with the alleged 'legalized smuggling' of rice by the National Food Authority. Former elections chairman Benjamin Abalos had expected millions of dollars in commissions from the Chinese firm ZTE Corp. in connection with the national broadband network (NBN) deal, Rodolfo Lozada told the Sandiganbayan yesterday. THE Office of the Ombudsman dismissed the complaint filed by environment lawyers against Cebu provincial officials over their alleged failure to provide them documents pertaining to a project that would be implemented at the Balili property. Retiring Supreme Court Associate Justice Conchita Carpio Morales, who swore in President Benigno S. Aquino III, leads at least 19 nominees and applicants for Ombudsman. ONE of the most powerful posts in the government, not surprisingly, is coveted by many. The Manila Times learned that at the close of office hours on Monday, the Judicial and Bar Council (JBC) received 39 names the owners of which either had applied for the Ombudsmans post or had been endorsed for appointment as the countrys next chief graftbuster. Of the 39, twenty-five accepted the endorsement and six turned it down. At least one governor, two mayors and a Customs official named in the so-called black book of suspected Mindanao car smuggler Lynard Allan Bigcas are facing probe by the National Bureau of Investigations. The tax evasion case against former military comptroller Jacinto Ligot and wife, Erlinda, nears resolution as the Department of Justice sets its last preliminary investigation hearing on May 27. The black book of suspected vehicle smuggler Allan Bigcas lists the names of Mindanao government officials who are his alleged clients, a House panel inquiry revealed on Monday. An official of the Office of the Ombudsman clarified yesterday that if ordered by the Supreme Court, the agency would reinstate dismissed Deputy Ombudsman for Military and Other Law Enforcement Offices Emilio Gonzalez III. A proposed law seeking the transfer of whistleblowers or witnesses in high-profile cases from the Department of Justice to the Office of the Ombudsman is close to getting the nod of the House Committee on Justice. THE Department of Interior and Local Government and the Department of Finance are set to come up with new policies that would require local government units (LGU) to properly audit their finances before they could be granted loans. A Davao-based broker implicated in a large-scale smuggling attempt has filed a complaint against the Bureau of Customs (BOC) by accusing its officials of abuse of authority and grave misconduct. A Bureau of Customs official yesterday said the alleged graft charges filed against her before the Office of the Ombudsman were pure harassment to discredit her anti-smuggling campaign. Customs Intelligence and Investigation Service chief Marissa Rae Galang denied she failed to declare her real property in the Statement of Assets and Liabilities and Networth (SALN) that included a townhouse in Quezon City acquired in 1993. The Sandiganbayan has dismissed a perjury case against former Armed Forces chief Gen. Lisandro Abadia, citing the prosecution's failure to present original documents to prove that he had lied about some information in his statements of assets and liabilities and net worth (SALNs) for 1993 and 1994. The National Bureau of Investigation (NBI) has asked the regional offices of the Bureau of Customs (BOC) and Land Transportation Office (LTO) in Region 10 to submit all documents pertaining to the alleged hot cars seized by authorities in the houses of a businessman accused of smuggling. The Whistle-blowers Association has nominated former Solicitor General Francisco Chavez to be the next Ombudsman. Former Iloilo governor Niel Tupas yesterday sought relief from the Supreme Court (SC) on the graft case he is facing at the Sandiganbayan for allegedly granting a quarry permit to a contractor linked to the in-laws of his son, Iloilo Rep. Niel Tupas Jr. The case filed by former Ombudsman Simeon Marcelo against accused plunderer retired Maj. Gen. Carlos Garcia was ... deficient that it did not even mention Garcias position as comptroller in the Armed Forces of the Philippines in which he should have been accused of having benefited illegally and in turn became the basis for the crime of plunder. Department of Local and Interior Government (DILG) Secretary Jesse Robredo on Friday said he is opening the Philippine National Police's (PNP) intelligence fund for audit, a radio report said. Legal experts agree there was no legal obstacle for former Ombudsman Merceditas Gutierrez to order the reinstatement of Customs police chief Jose Yuchongco whom it earlier dismissed from service for alleged graft after the Court of Appeals (CA) junked the latters petition questioning his dismissal. When Is It Fair For Corruption Suspects to Cite It and When Are They Hiding Behind It?